Instead of searching high and low for your AC Kissimmee needs, consider hiring All Temp AC and Refrigeration! 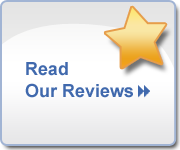 We have a wide service area, years of experience, and work with all of the major manufacturers, giving us the skills and familiarity necessary to recommend an air conditioning unit, install it, and make future repairs. The average person does not have to install an air conditioning system very often, which is why our team can help you choose the right system for your space. Let us know your budget and requirements, and we will ask you a few quick questions to determine which system will work best for your business. Once you settle on a system, our team will install it for you. Because of our experience, we are able to complete the installation quickly and correctly, minimizing your business’s downtime so you can focus on what matters. Our team provides regular maintenance as well as repairs. We strongly recommend having regular inspections and maintenance to ensure that the unit works properly. These inspections give us the chance to catch potential issues before they lead to damage to the entire system, more expensive repairs, or downtime for your business. Common problems we will look for include clogged drains and irregular thermostat readings. If repairs are necessary, we are here to help! With our experience, we can quickly diagnose the problem before determining the best course of action to resolve it. 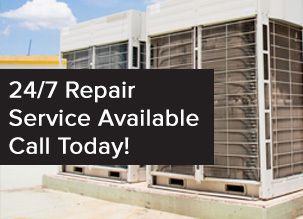 At All Temp, we understand that you can’t control when your commercial air conditioning system will experience a problem, which is why we offer emergency repairs. If you have an AC emergency, give us a call 24/7, no matter the day of the year, and we will help you take care of it. Don’t hesitate to call us to schedule an appointment. For those looking for AC Kissimmee, Orlando, or St. Cloud services, you can can reach us at 407-857-7800; those in the Brandon, Lakeland, and Riverview areas can schedule an appointment at 813-639-9400.